The role that weather plays as a source of financial and operational risk for businesses, markets and other institutions. 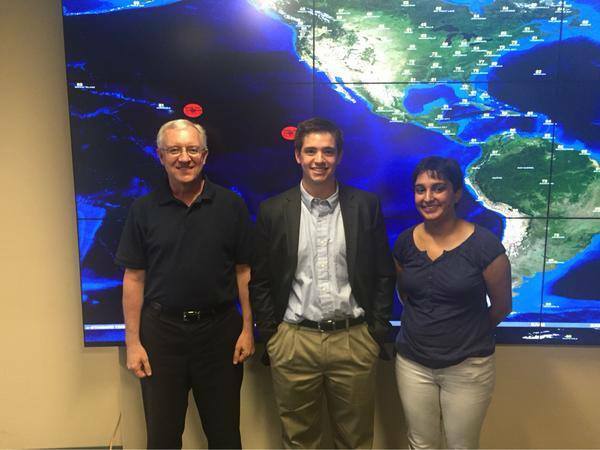 Penn State Senior Jeff Schmidt, along with David Titley and Sonya Miller in front of the new map wall in the Joel N. Myers Weather Center. Jeff has recently finished the summer program Research Experience for Undergraduate (REU). He worked on developing a new Jet Stream Index. This research is ongoing.